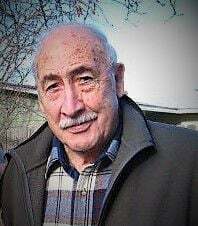 George ‘Bill’ William Wallace passed away on the evening of January 11, 2019 at the age of 89 after several years in the loving care of family in Boise, Idaho. George was born in Nampa, ID on July 21, 1929 to Bessie (Bays) Wallace and Oran V. Wallace. 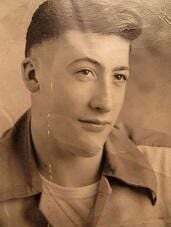 He graduated from Nampa High School in 1947 and married Mary ‘Cathy’ Catharine Fox on June 9, 1950. George and Mary C. had been married 62 years when she passed in 2012. As a young couple, George and Mary C. lived in many parts of southern Idaho, travelling with George’s work as a lineman for Mountain Bell at a time when stringing phone wire through the southern Idaho deserts and farmland involved horse drawn wagons for hauling telephone poles. They eventually settled in Twin Falls, Idaho in 1957 where they lived for over 55 years and raised eight children. At the time of his retirement, George held a regional managerial position yet he also spent over a decade in his earlier years as CWA (Communications Workers of America) President, passionately advocating for workers rights. He was a member of the Telephone Pioneers of America and had endless entertaining stories and lasting friendships from his years in the telecommunications industry. George and Cathy’s life in Twin Falls was indelibly woven with the community of St. Edwards Catholic Church. They and their family were known and loved by so many through the years. George sang in the choir, served as a eucharistic minister, was a regular reader at Mass and volunteered in a myriad of ways. He and Cathy were both devoted members of the perpetual adoration chapel prayer team, spending countless hours in faith-filled service. He was generous in every way. Work, family and community were at the center of George’s life yet he was a man of many interests and talents. Throughout his life he found joy in exploring nature and the great outdoors. Many of his fondest memories and stories were of backpacking trips in the Idaho backcountry, fishing and angling for salmon and steelhead and sharing his love of the wilderness with family and dear friends. George was an artisan in his own way, a lover and creator of beauty whether through gardening and cooking, the way he would tie a fly for his next fishing trip or shine his shoes and press a shirt. He possessed a deep appreciation for music and poetry, loved to dance, always enjoyed a well told story, a bit of bawdy humor and a good party. He wielded a quick wit, strong opinions and a hearty laugh that was often paired with a mischievous twinkle in his eye. Mary Catharine was truly the love of his life and the family they created together was a legacy that filled him with deep pride and gratitude. George is survived by by his eight children: Cecil Jones, Leslie Emerson, Hal Wallace, Elizabeth Carthan, Denise M. Wallace, Paul M. Wallace, Ivan Clay Wallace and Molly Wavra. Also by his 20 grandchildren: Lindsey Walter, Erin Jones, Genevieve, Jesse, and Anthony Emerson, Andrew Wallace, Ivy Shiro, Elyseya ‘Ashiauna’ Louderbough, Danielle and Katherine Rolley, Dashiell and Julian Moody, Elizabeth and Evan Wallace, Blaze, Phoebe, and Wren Wallace, Sydney Tena and Symon and Kaleb Wavra as well as his 21 great-grandchildren: Kannan and Chloe Walter, Addie and William Emerson, Merin, Finlan, and Elowen Wallace, Samantha and Blake Shiro, Haven, Jade, and Grace Louderbough, Ashton, Amber and Elijah Rolley, Lydia Porter, Jeremiah and Jonah Wallace, Orion, Evelyn, and Aurora Tena. Additionally by his much loved daughters and sons in-law Steve Emerson, Kerre Wallace, Jeff Passerotti, Cedric Carthan and Wendy Wallace as well as the beloved spouses of his grandchildren and by many nieces and nephews. George is also survived by his sister Maxine Walls of Mesquite Texas, and his brother in-law Gary Fox of Meridian, Idaho. George was preceded in death by his wife Mary Catharine Wallace, sisters Vivian Crabtree and Lillian Williams, his sisters in-law Marjorie Davis and Shirley Bethel, his brothers in-law Floyd Walls, Cecil Williams and Bud Fox. Also by his son-in-laws William Rolleyand Lonnie L. Jones. There will be an open casket viewing and rosary vigil at Alden-Waggoner Funeral Chapel in Boise, Idaho on Tuesday, January 22, 2019 at 6:30 p.m. There will be an additional open casket viewing and rosary vigil at Reynolds Funeral Chapel in Twin Falls, Idaho on Wednesday, January 23, 2019 at 6:00 p.m.
A funeral Mass will be held at St. Edwards Catholic Church in Twin Falls, Idaho on Thursday, January 24, 2019 at 10:30 a.m. followed by burial service at Sunset Cemetery. Services are under the direction of Alden-Waggoner Funeral Chapel in Boise and Reynolds Funeral Chapel in Twin Falls.